The Tribe returns. Burning Man meets TED takes it to the next level! TRÓIA, PORTUGAL – 12 July, 2016: Unique creative event Trojan Horse was a Unicorn returns to the sun-kissed shores of Tróia, Portugal on 19-24 September 2016 with a host of Academy Award-winning speakers announced. THU has also grown beyond the event. This year, THU launches a new platform that takes this generation of the tribe beyond the golden beaches of Portugal and right across the globe. A raft of new speakers have been announced for THU 2016. This growing lists comprises the world’s top artistic minds, including Academy Award-winning artists. The artists below will deliver informal, insightful, and candid talks unlike any other event. Thinking creativity, not corporate – at THU, you get inside the minds of the artists you love. Companies hiring at THU 2016 include Industrial Light & Magic, Riot Games and CD Projekt RED. THU 2016 launches the Co-labs. Over five days, six teams of 10 artists will build a creative project from scratch. It’s all about the principles that define THU – collaboration, teamwork, and creativity – along with the added excitement of making decisions under pressure! Returning activities to THU 2016 include inspirational talks, masterclasses, mentorship sessions, life drawing and portfolio reviews. THU is more than just an event – it’s spreading from Tróia to embrace a truly global community with THU TV. THU TV offers inspirational talks from the THU main event, exclusive talk shows and interviews, new show formats and concepts, and insight into the best creative minds in the world, including Academy Award-winning artists. Aside from a huge diversification of video content, new to 2016 comes the ability to interact with these Oscar-winning artists and the Tribe during the event, all from the comfort of their own home via livestream technology. Watch an example of THU TV content here – a candid talk with Alberto Mielgo. Trojan Horse was a Unicorn is dedicated to being the central organization that psychologically, spiritually, technically, educationally and legally supports the global digital artist and ensures that the world understands and celebrates their artistry and craft. The main event takes place in Tróia, Portugal every September. 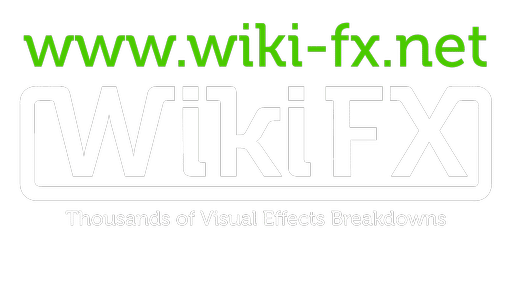 Owner of WikiFX -- VFX Artist based in Vancouver, BC and currently working at DNEG as a Lead Environment Generalist TD.